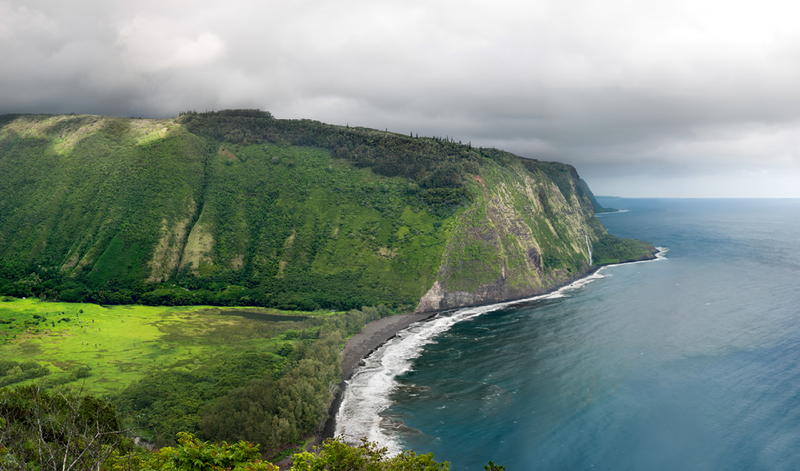 Location: Waipi'o Valley, Hawaii • Date: 8/21/09 • Standard Print (w & h): Image: 67.9" x 40.0"
This image of Waipi'o Valley is composed of 18 individual shots taken at 135mm. I took them a half an hour after sunrise, having waited for about an hour for the clouds to clear. Finally, they parted a bit and the sun shown on the top of the hill and the back of the valley. As I was packing up my equipment, it started pouring again.